Zizek’s Comic Dilemma: Kynicism or Cynicism? And so, these men and women should inspire all of us in this room to live up to those same standards; to be worthy of their trust; to do our jobs with the same fidelity, and the same integrity, and the same sense of purpose, and the same love of country. Because if we’re only focused on profits or ratings or polls, then we’re contributing to the cynicism that so many people feel right now. How, I wondered, was the President’s comic routine related to this crisis in trust and the “cynicism that so many people feel right now?” In yesterday’s blog, I argued that the schlemiel was used, in effect, to regain trust. But let’s be clear here. The humor used by the self-deprecating schlemiel has nothing to do with satire or sarcasm. To be sure, much of what the President was doing was self-deprecating. This kind of humor doesn’t cause cynicism. On the contrary, it does its best to challenge cynicism and to recover some kind of hope (however bleak it may be). The schlemiel evokes a belief in goodness, innocence, and simplicity while, at the same time, juxtaposing it against dishonesty, deception, and violence. Because the Schlemiel (at least in its traditional variety) evokes some kind of hope (however little it may be) in the midst of depravity, it makes sense why the President and his writers would turn to the schlemiel. The schlemiel preserves a kind of naivite. In contrast to the humor of the schlemiel, however, there are other forms of humor which, to be sure, look to exacerbate cynicism. Slovoj Zizek, who, in academia and beyond it, is thought of as an ‘academic rock star’ of sorts, is well known for his delight in humor. 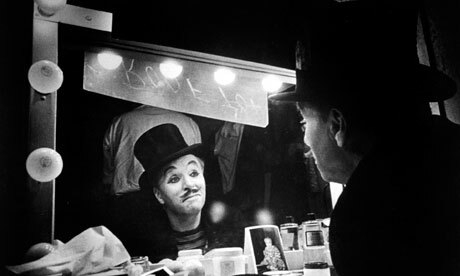 He is less known, however, for his explorations of humor and cynicism. In his book, The Sublime Object of Ideology, Slovoj Zizek pits cynicism against what the German philosopher Peter Sloterdijk calls kynicism. Zizek’s reading of cynicism is much different from President Obama’s. And his privileging of kynicism over cynicism brings this out. Hope is not an option; kynicism is. Writing on Umberto Eco’s The Name of the Rose, Zizek notes that “what is really disturbing” is the “underlying belief in the liberating, anti-totalitarian force of laughter, of ironic distance.” In other words, the emancipatory aspect of sarcasm, for Zizek, is disturbing because “in contemporary societies, democratic or totalitarian, that cynical distance, laughter, irony, are, so to speak, part of the game. The ruling ideology is not to be taken seriously or literally”(28). On the other hand, taking ideology literally, and not laughing, is “tragic.” In this scenario, Zizek seems to be in a double bind as laughter and sarcasm are too ideological for him. Yet, on the other hand, he prefers laughter to taking ideology seriously. But there is a problem, since even laughter and sarcasm are ensnared by ideology, they are guilty of being naive. Zizek cites Marx who says that “the very concept of ideology implies a kind of basic, constitutive naivite: the misrecognition of its own presuppositions, of its own effective conditions, a distance, a divergence between so-called social reality and our distorted representations, our false consciousness of it”(28). But, contrary to Marx, Zizek claims that the point is not to unmask ideology – so as to see reality “as it really is.” Rather, “the main point is to see how the reality itself cannot reproduce itself without this so-called ideological mystification. 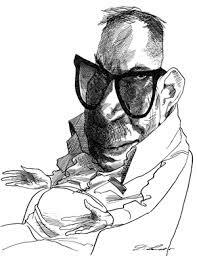 The mask is not simply hiding the real state of things; the ideological distortion is written into its very essence”(28). In other words, things have, literally, changed. Ideology is no longer innocent or naïve. It is deliberate. And it cannot be unmasked since it is “written into the very essence” of reality. Paraphrasing Sloterdijk, Zizek says that “they know very well what they are doing, but still, they are doing it.” In other words, if everything is ideology, everyone is lying. No one believes in ideology, yet they act as if they do while knowing full well they don’t. Taking into consideration what Zizek is saying, we would have to say that our assessment of cynicism is wrong. Cynicism is not based on distrust of the government. No. For Zizek, cynicism is knowing that you are lying while acting “as if” you are telling the truth. This masking operation, for Zizek, discloses a near universal dishonesty that touches everything that advances freedom, justice, equality, etc. According to his logic, we act as if these ideals, principles, etc are real when, in fact, we know they are not. In a surprising turn Zizek excludes himself from the all-encompassing cynicism that touches all reality by aligning himself with what Sloterdijk calls kynicism: “Kynicism represents popular, plebian rejection of the official culture by means of irony and sarcasm: the classical kynical procedure is to confront the pathetic phrases of the ruling official ideology – its solemn, grave tonality – with everyday banality and to hold them up to ridicule, thus exposing behind the subtle noblesse of ideological phrases the egotistical interests, the violence, the brutal claims to power”(29). 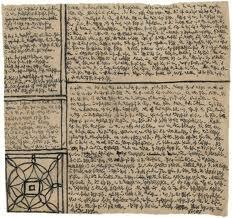 Zizek notes that the kynical procedure does not play according to the rules of logic. It is “more pragmatic than argumentative: it subverts the official proposition by confronting it with the situation of its enunciation; It proceeds ad hominem”(29). Zizek notes that what we have today is a battle between cynicism and kynicism: “Cynicism is the answer of the ruling culture to this kynical subversion: it recognizes, it takes into account, the particular interest behind the ideological universality, the distance between the ideological mask and the reality, but it still finds reasons to retain the mask”(29). Given this “logic,” Zizek would say that upholding “individuality,” “freedom,” “justice,” and even “rights” by the “ruling culture” is cynical. It is a mask. Zizek would say that they all don’t really believe in these things but act “as if” they do. And for his reason, they are all cynical: “the model of cynical wisdom is to conceive probity, integrity, as a superior form of dishonesty, and morals a supreme form of profligacy, and truth as the most effective form of a lie”(30). The kynical person, in contrast, discards the “mask.” Moroever, the kynical person laughs. But, somehow, this laughter is pure of ideology. This is odd, since, at the beginning of this section (as we note above) Zizek says that emancipatory laughter and sarcasm (which sounds a lot like kynic laughter) are wholly ideological. Here, somehow, sarcasm (as kynicism) is not. On the one hand, laughter, satire, and sarcasm are a “part of the game.” On the other hand, they are the epitome of popular revolt. Can we say that neither cynicsm nor kynicism are naïve? Wouldn’t it be naïve, according to Zizek’s standards, to think one can simply throw off the ideological mask and escape cynicism? Isn’t it the case that they both know that what they are doing is a lie but do it anyway? To be sure, isn’t Zizek saying that all ideology today is dishonest and nothing escapes it? Wouldn’t that also include kynicism? Or is kynicism beyond ideology and dishonesty? If kynicism goes by way of the ad hominem and not by way of argument, is it beyond ideology? To be sure, Zizek explicitly notes kynicism’s dishonesty when he says that kynicism deliberately uses ad hominem arguments to mock the ‘ruling culture’ (which includes the culture of the Enlightenment). Kynicism doesn’t argue. It attacks and it knowingly tells lies. But, and here is the question, does it do so while holding up a mask? Do the kynics sarcastically mock the ruling ideology while acting “as if” they are “right,” “true,” and “just”? If they do, then they are also wearing a mask and they too are cynical. So, what is the meaning of all this dishonesty? And, given what the President said the other night at the Correspondents’ Dinner, is there any way to end cynicism if both sides are engaged in some sort of deception – knowing that they don’t believe in justice, rights, truth, etc but act ‘as if’ they do? 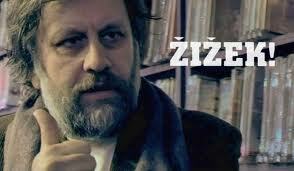 To be sure, given his love for sarcasm, it seems as if Zizek prefers kynicism over cynicism. But isn’t Zizek caught in the lie of ideology, too? Didn’t he say that sarcasm plays the same game? Zizek certainly celebrates mockery in his work and encourages satire, but a close reading of The Sublime Object of Ideology shows us that he also recognizes the sarcasm may not be free of ideology. This recognition is fundamental to understanding what is at stake. The truth of the matter is that Zizek’s appeal to kynicism is an attempt to leave the Enlightenment and its rhetoric of emancipation behind. To do this, he looks for a kind of sarcasm that is free of emancipation or any enlightenment ideal. How is this possible? Is the sarcasm he affirms simply a violent force that denies all truth and no longer acts ‘as if’ it is anything? A “naked” kind of sarcasm free of any Enlightenment ideal? As Lessing, who was in a position to know, put it, they attempted by means of mockery to ‘laugh’ orthodoxy out of a position from which it could not be dislodged by any proofs supplied by Scripture or even by reason. Thus the Enlightenment’s mockery of the teachings of the tradition is not the successor of a prior refutation of these teachings; it does not bring to expression the amazement of unprejudiced men at the power of manifestly absurd premises; but it is the refutation: it is in mockery that the liberation from ‘prejudices’ that had supposedly been cast off is first accomplished; at the very least, the mockery is the admittedly supplementary but still decisive legitimation of liberty acquired by whatever means (30). In effect, Zizek is telling us that all forms of political humor battle cynicism with kynicism. Kynicsm is not interested in self-deprecating humor, which looks to re-instill trust. And if we take Zizek’s words on ideology seriously, we would have to say that, in the end, it’s the same result. Cynicism and kynicism are both caught up in ideology, but an ideology that is not simply naïve but rather dishonest. For Zizek, no one really believes in the truth anymore. We only act “as if” we do. Zizek suggests that “the people” are all kynical. He suggests that their sarcastic rebellion against the ruling culture, which acts “as if” truth, justice, freedom, etc exist (and defend it), is somehow pure. But, wait, doesn’t this rebellion act as if it is just? Aren’t many latter day rebels naïve? Or are they just acting “as if” they believe in justice? Perhaps we’re all being duped? By not looking into it deeply, Zizek implies that all popular sarcasm directed against any group in power is just. But isn’t the act of speaking truth to power an act that is based on Enlightenment ideals? And how can one justify activism that is supported by kynicism? Is that activism…random? Is the difference between kynicism and cynicism the fact that cynicism acts “as if” truth, justice, etc are real while kynicism doesn’t waste its time with such self-deceptions? What I find most interesting is Zizek’s brief moment of reflection on subversive laughter and its possible destructiveness. His hesitation is ultimately left behind for the revolution. His laughter is a laugh that is, seemingly, not based on any truth. Nonetheless, the appeals for justice and truth made my many kynics disclose some form of ideology. So, what is it? Is kynicism deceiving itself or not? Is its only purpose to sarcastically destroy any ruling ideology in the name of noting save…destruction. Or does it act “as if” it challenges the ruling ideology in the name of progress, justice, etc? Zizek’s laugh, it seems, is unsure of whether or not it is based on truth or deception. It originates in a humor that is not seeking to end cynicism so much as exacerbate it. For if ideology is inescapable, so is the impulse to act “as if” justice, truth, and freedom exist when one “knows” that they don’t. If we take Zizek to the end of his thought on sarcasm, this is the conclusion. And with this, I return to my original concern regarding the use of comedy in the political sphere to battle cynicism. Will the political use of comedy produce trust or dissolve it? For Zizek, sarcasm, not self-deprecation, is the choicest of all comic weapons. His strategy is completely different from President Obama’s insofar as the President played the schlemiel while Zizek plays the kynical comic.